What is your paintballing M-O? Do you consider yourself an extreme player who desires to own the latest and greatest equipment whatever the cost? Are you more of the individual type of player who not only likes to play hard, but look good while doing it? Or are you a minimalist who wants compact equipment, relying more on your own maneuvering skills than the type of gun and paintball ammo you own? 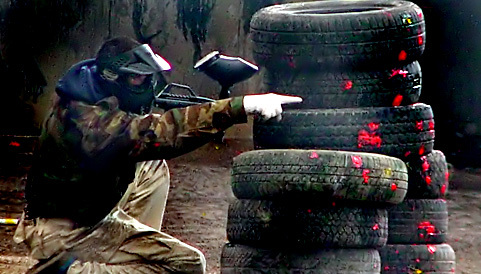 No matter what type of player you are, all of your paintball needs will be met here at Paintball Gun Splatter. Paintball Gun Splatter was designed to meet the needs of all players, whether you are going to your first tournament this weekend or are a seasoned paintball veteran. Whether you are in the market for a new paintball marker, paintball ammo or CO2 tank, Gun Splatter has you covered. Are you on a budget? Or do you have �paintball money� burning a hole in your pocket? Either way, Gun Splatter has guns, ammo, gear and tanks to meet every budget. If you are looking for a particular brand like Spyder or Tippmann, look no further. Need something from Dye, Proto, or RAP4? Paintball Gun Splatter was created to be the ultimate online paintball source. Here at Gun Splatter our number one priority is to keep our paintball-playing customers happy both on and off the field. If you are looking for a new paintball gun, we carry the finest in stock from established companies whose names are synonymous with quality paintball products; names like Spyder and Tippmann. Our vast selection of guns for paintball games are guaranteed to help you focus more on your gaming technique while on the field and less on your equipment. Gun Splatter is committed to becoming the best one-stop online paintball store where you can easily browse through our growing inventory for your paintballs and paintball ammo, paintball markers, paintball goggles and masks, marker upgrades, paintball CO2 tanks, etc. Do you have a loved one in your life who lives for paintball? Paintball Gun Splatter�s intuitive and easy to navigate site will help guide you to the best paintball equipment to make him (or her) happy, even if you have no idea what paintball is or where to begin. Each product comes with a full description and one or more photo so that you know the quality product you are about to purchase. If you have a question about any of our products use our Live Chat or simply shoot us a quick e-mail and we will respond promptly; our customer service is second to none. Gun Splatter will not settle for being second best. We carry only the finest paintball guns and equipment and are constantly on the lookout for new and exciting products to add to our paintball store. If you see or hear of a new paintball marker or a certain type of paintball ammo that you cannot find on our site, let us know immediately and we will see to it that our online paintball store gets stocked with the latest and greatest so that, you, our customer are always satisfied!